After publishing our post last week regarding the Disney class-action lawsuit — you know, the one where Disney is being sued for spying on children under 13 who use their apps and then selling the data to third-party advertisers — it got us thinking about fairness in the media. Did you know 90% of American media is controlled by six major conglomerates? 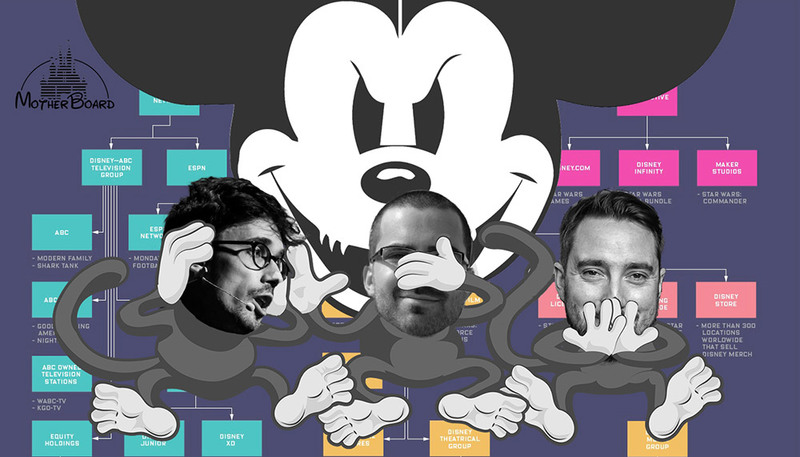 Now, think about Motherboard, who are partially owned by Disney. Next, think about Motherboard’s recent retraction of two Disney-focused stories, as well as the lack of reporting of Disney’s current spying escapade. Finally, think about Motherboard’s handling of FlexiSPY earlier this year. Under the false pretense that FlexiSPY knowingly enables illicit spying, they ran a series of defamatory stories based on illegally obtained information, designed to support the personal opinions and ego-driven agendas of certain bloggers (We’re looking at you Joseph Cox & Lorenzo Franceschi-Bicchierai). This clearly begs the question, where is Motherboard’s coverage of Disney — who are now being sued for violating COPPA not once, but 42 times? Sprinkle in the lawsuits also being brought against the developers of the Disney apps and Viacom (parent company of Nickelodeon) and it sounds like a recipe for some good old-fashioned ‘stick-it-to-the-man’ reporting. Again, where are the chiding accusations of malicious spyware being illegally installed on someone’s phone? Or the exclusive coverage exposing the secret targeting of youth through technology — for profit nonetheless? Remember when we said 90% of the media is owned by six conglomerates? 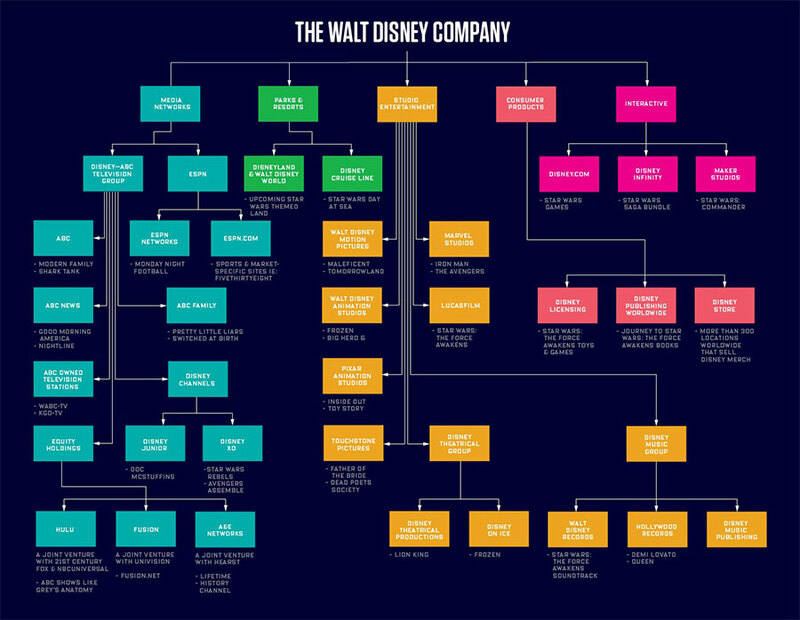 One of those media giants is Disney — and they just so happen to have a $400 million stake in VICE and its brands. We hate to perpetuate the ‘fake news’ sentiment, but it’s difficult to take the media at face value after delving into the depths of The Big 6 and their corporate structures. Disney owns ABC. Comcast owns NBC. News Corp owns Fox. Viacom owns MTV. CBS owns CBS. Time Warner owns CNN — and you’d be hard-pressed to find negative content about any of these outlets on their own networks. While this editorial issues two retractions — which are always admirable — is it credible that these two stories were pulled because of sources rather than subject? Two stories that were pulled because of the ‘source.’ Two stories with a negative spin on Disney. It’s probably just a coincidence, right? We like to believe Vice and its affiliates are different — they’re known for controversial reporting that isn’t afraid to take on the bigwigs and take readers (or viewers) to the deepest corners of society. VICE is edgy, fearless, counter-culture journalism, touching subjects that others don’t dare. Unless the subject involves the Disney mega-ladder. And that’s a shame, because it supports the belief of an ever-growing number of people that corporate ownership controls content — AKA fake news. And to those people, it would make perfect sense why VICE retracted two stories about their media-giant parent. With that many hands in the proverbial pot, it’s hard to argue that the complex corporate structure really had nothing to do with the actions of Motherboard as described in this piece. We are not comparing ourselves to Disney, but merely comparing the recent coverage of FlexiSPY and Mickey — or should we say lack of coverage. FlexiSPY earned a six-week campaign without breaking any laws. Disney more-than-likely violates COPPA and gets nothing. Makes us wonder if FlexiSPY had a shareholding in VICE, would we have gotten the same preferential treatment? But we hate to ‘pull a VICE’ and speculate, so let’s look at the facts. We’ll let you connect your own dots. Disney — and Viacom and apps in Google Play — uses third-party code and identifiers to target and share the personal data of children under 13 without parental consent. Whether or not Disney and their developers — Upsight, Unity and Kochava — set out to spy on children through their apps, the fact of the matter is this: they are. Since at least 2013, the release year of Disney’s Princess Palace Pets app — one of the most popular apps under investigation in the recent lawsuit — Disney has been collecting data. That’s four years of information sharing. Four years of behavior monitoring. Four years of developing a profile of your child. All without express parental consent. These games are not only not protecting our kids’ personal data, but are exploiting it for profit — illegally. Motherboard coverage: None. But these are just ‘alleged’ claims according to media outlets, so they must not be worth publishing. It’s hard to escape the conclusion that the media publishes (or retracts) content based on who’s controlling the checkbook — and apparently, it’s easier to go after one software company than the entire media conglomerate that controls 18% of your business. We’ve come to expect this from CNN or FOX, but not from Motherboard. Throughout their history, VICE and Motherboard have been the antitheses of the easy way out — embracing a new style of storytelling journalism dubbed ‘Immersionism‘ by founder Shane Smith. A style that puts reporters and viewers inside the action. VICE, Motherboard and their affiliated channels uncover stories that people didn’t even know they wanted to hear. We hope their ownership structure lets them continue speaking truth to power. Because if you can stick-it-to-the-man, surely you can stick-it-to-the-Mouse.